JJ Dance Studios offers an exceptional opportunity to everyone who wants to learn to dance at every level including beginners, to be part of a dance school where the Directors are nationally and internationally respected Dance Champions and who have been involved in stage and screen. Group classes & privale lessons are available for all levels and all ages for both children and adults. The teachers chosen to take your classes are specialists in their style of dance & are the best of the best. For most classes you don’t have to pay for a term, so you can just pay for the classes you attend. JJ Dance Studios is an awe inspiring dance venue that offers something to everyone of all ages & abilities. The venue which is in Beckenham High Street (behind Boots) has been meticulously designed for dancing & socialising with exacting standards & quality, not to mention a touch of opulence. For children the unique benefits of dancing are legendary and include fitness, flexibility, co-ordination, and rhythmic interpretation plus of course social awareness, courtesy, teamwork, discipline, and respect for each other, but most of all its great fun! For most of the classes there are no special clothes or footwear necessary initially, so even school uniform is fine. All teachers are CRB checked. For adults whether you have 2 left feet, want to get & keep fit, just want to socialise or want to seriously learn, these are the classes for you! Come and learn in a relaxed and fun atmosphere. You dont have to bring a partner to any of the classes and dress is optional. Having fun is guaranteed! JJ Dance Studios offers an exceptional opportunity to everyone who wants to learn to dance at every level including beginners. Monday's Classes: Ballet (4-16 years), Ballroom, Latin, & Pilates. 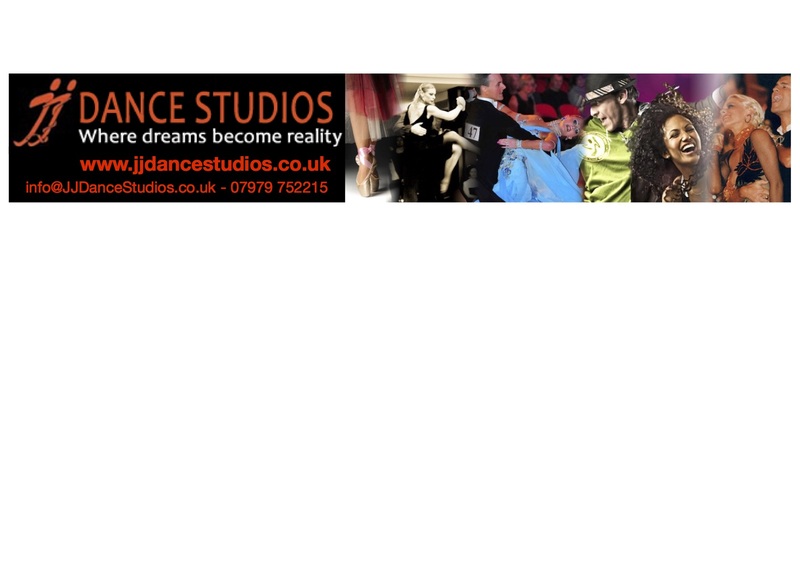 JJ Dance Studios specialises in dance in various styles.